A team of 54 doctors, 75 treatment staff, and over 120 supporting staff take care of the patients at Sreedhareeyam. The group has 23 branches all across India and OP sessions are conducted every day at all these branches. All Ayurveda treatments typically start from the gut, as the root cause of most diseases is inappropriate food which in turn ruins the digestion process and the entire body elements. A typical Ayurveda treatment goes through several steps like Deepana (the drug that which does not digest Ama, but increase the Agni (digestive fire), is called Deepana), Pachana (the herb that digests the Ama, but does not in any way directly stimulates digestive fire/enzymes is called Pachana), Shamana (herb that does not expel Doshas out of the body and does not increase the balanced Doshas, but calms or pacifies the aggravated/increased Doshas is called as Shamana) etc.. Consulting the doctor at an OP session and letting him decide on the steps to be taken to detoxify the body and also prepare the body for treatments is an integral part of Ayurveda. Our panel of doctors includes eye care specialists and other Ayurveda branches specialists. All of these doctors conduct OP sessions and also monitor the treatments to be conducted to eliminate the health problem of the patient. With 21 years of all-encompassing clinical experience and research background in Ayurvedic medicines, Dr. N. Narayanan Namboothiri is today the chief Physician and President of Sreedhareeyam Ayurvedic Eye Hospital and Research Centre. 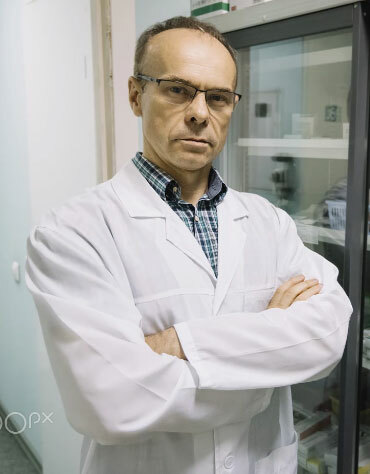 Being an expert in Dravyaguna Shastra (Ayurvedic Pharmacology), he understands the properties and the assimilation nature of each medicine used in Ayurveda and puts it to work in his clinical endeavours. The skills which were obtained by him through the rigorous training received from the seniors of the family, were further sharpened by going through professional masters course (MD – Ayu) in Ayurveda. He embraces both the ancient system and the modern system of medicines and his expertise took Sreedhareeyam to greater heights, at the same time establishing himself as a pioneer in Ayurvedic Ophthalmology. He is the recipient of numerous awards and recognitions from the world over for his unparalleled contributions to Ayurveda as a whole and also to ayurvedic ophthalmology which is constantly gaining relevance in an otherwise under-utilized branch of Ayurveda, that is Shalakya Tantra. A professionally trained ayurvedic ophthalmologist with more than 19 years of clinical experience to her credit, Dr. Sreekala N.P is an expert in management of degenerative eye disorders and retinal vascular disorders. She is the daughter of Dr. NPP Namboothiri, the founder of Sreedhareeyam and she has acquired her skills from the constant training sessions with the seniors of the mana. She conducts OP sessions in most of the Sreedhareeyam branches every month. She has comprehensive knowledge in Shalakya Tantra and is also an expert in the research assisted variations in the traditional methods. 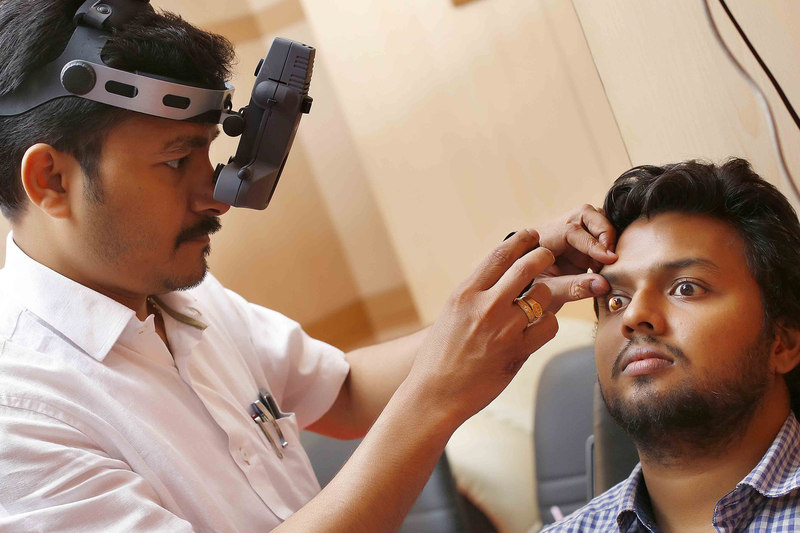 Dr Sreekanth P Namboothiri, the younger son of Dr.NPP Namboothiri, is the epitome of the vision of Sreedhareeyam, modern eye care rooted in Ayurveda. 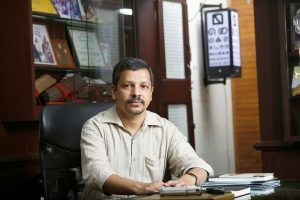 After his graduation, Dr Sreekanth completed his post graduation in Shalakya Tantra, the Ayurveda equivalent of Ophthalmology, and became proficient in modern diagnostic techniques in Ophthalmology. 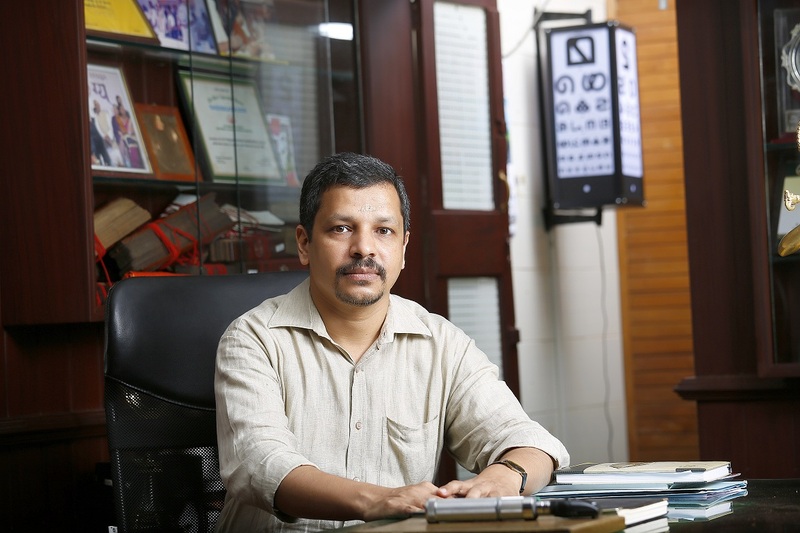 He joined Sreedhareeyam as Director Clinical Research, and was integral, in realising the AYUSH granted Center Of Excellence in Ayurveda Ophthalmology at Sreedhareeyam and was co-investigator to his father Dr. NPP Namboothiri in all the projects. Following his father’s footsteps, Dr. Sreekanth joined Indian Systems of Medicine department, as Specialist Medical Officer( Netra) in 2014 and excelled in this position, and was at the helm of various state government projects, till he rejoined Sreedhareeyam after his father’s demise. Dr Sreekanth is currently the Chief Medical Officer at Sreedhareeyam and Secretary of Sreedhareeyam Ayurvedic Research and Development Institute. Along with extensive clinical experience in treatment and management acquired from the various positions he held, Dr Sreekanth has shown his multifaceted skills as Managing Editor to the in-house journal, NetraMitram and the indexed scientific journal, Sreedhareeyam Vision. Dr Anjaly Sreekanth is a senior medical officer and heads the Panchakarma Division of Sreedhareeyam. Panchakarma is an essential therapy for all diseases in Ayurveda and eye diseases are not an exception. Dr. Anjaly did her post graduation in Panchakarma and is adept in treatment of both eye diseases and general ailments using this therapy. She has also lent her hand in research at sreedhareeyam, as a Senior Research Fellow in the projects at the Center of Excellence. 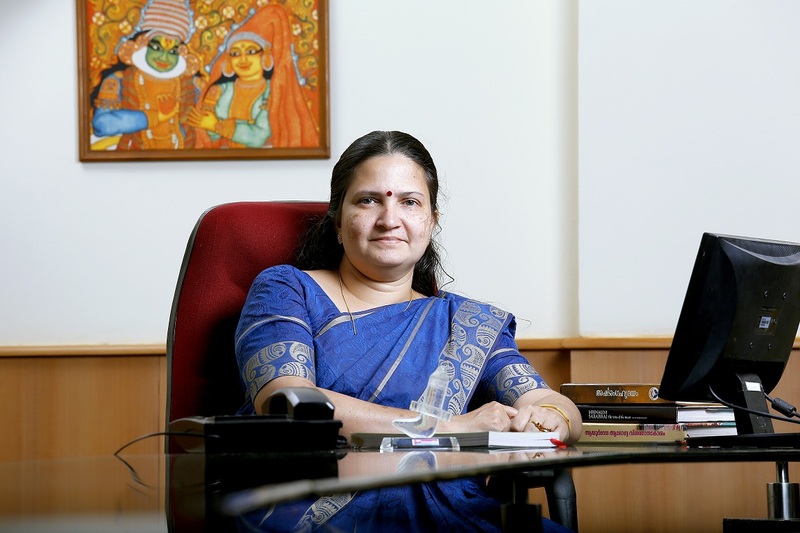 Dr. Manjusree is a Senior Medical Officer at Sreedhareeyam and has done her post graduation in Shalakya Tantra , the Ayurveda equivalent of ophthalmology and ENT. She has also done Certification of Rashtreeya Ayurveda Vidyapeeth (CRAV) under AYUSH ministry,in Ayurveda ophthalmology. 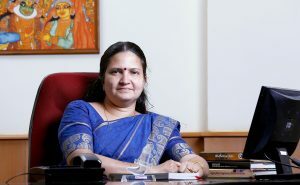 She handles various departments at the hospital and also manages various outpatient camps of Sreedhareeyam Ayurvedic Clinics & Panchakarma center across India.